Bettina Arnold obtained her BA in Archaeology from Yale University and her MA and PhD degrees in Anthropology from Harvard University. 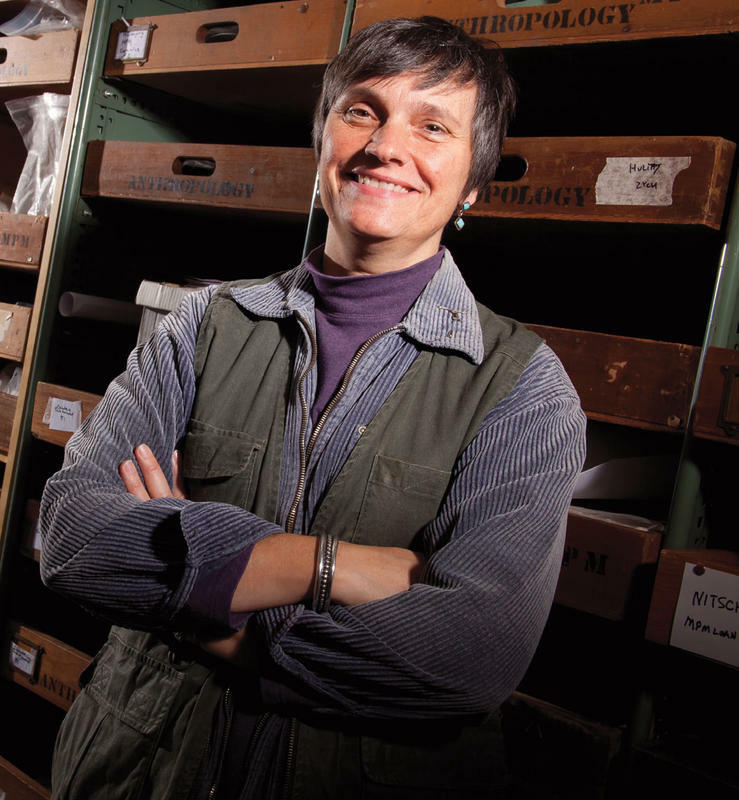 She is Professor of Anthropology at the University of Wisconsin-Milwaukee, where she served as the Co-Director of the Center for Celtic Studies from 2000-2009 and Coordinator of the Museum Studies Graduate Program from 1996-2012. She is the Editor of the on-line peer-reviewed journal e-Keltoi. Her area of expertise is the pre-Roman European Iron Age, but in the course of her career she has participated in archaeological projects ranging from the Middle Bronze Age through the early medieval period in western Europe. Since 1999 she has co-directed a research project in southwest-Germany focused on the burial record of the early Iron Age Heuneburg hillfort and its environs; two burial mounds associated with this site were excavated by the Landscape of Ancestors project between 1999 and 2002. Finds from those excavations were featured in Die Welt der Kelten: Zentren der Macht - Kostbarkeiten der Kunst, a major exhibition in Stuttgart in 2012-2013. Her research has focused on the archaeological interpretation and analysis of complex societies, particularly as reflected in mortuary contexts; material culture as a symbolic system and a means of communicating social relationships; the archaeological interpretation of prehistoric gender configurations in burial contexts; and the socio-political history of archaeology and museum collecting, especially their involvement in identity construction in 19th and 20th century nationalist and ethnic movements in Europe and the United States. Recent publications include: Bettina Arnold (2012) The lake dwelling diaspora and natural history museums: identity, collecting and ethics, in Francesco Menotti and Aidan O'Sullivan (eds) The Oxford Handbook of Wetland Archaeology and Beyond, pp. 865-881. Oxford: Oxford University Press; Bettina Arnold (2012) The Vix Princess redux: a retrospective on European Iron Age gender and mortuary studies, in Lourdes Prados Torreira (ed.) La Arqueología funeraria desde una perspectiva de género, pp. 215-232. Madrid: UA Ediciones; Derek B. Counts and Bettina Arnold (eds) (2010) The Master of Animals in Old World Iconography (Budapest: Archaeolingua).